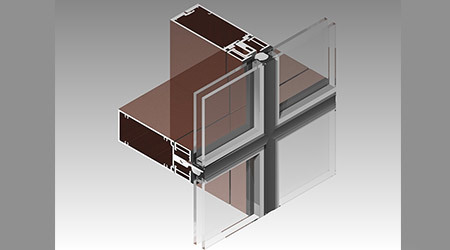 SuperWall SSG for four-side, silicone-glazed curtain wall and window wall systems is now included in the company’s standard SuperWall Series. The product is designed to create dramatic entrances, open atriums, transparent low-rise structures, and sleek, modern facades. To complement energy efficiency goals, the framing can accommodate zero sightline insert vents for natural ventilation, ClearStory exterior sun shades, interior light shelves, and façade-integrated photovoltaic modules. The product is available in four depths — down vote accepted Try the following: 63⁄4, 73⁄4, 83⁄4 and 103⁄4 inches — and accepts standard, structural silicone, insulating glass units.